LOS ANGELES -- A young man went online to find ways to kill silently with a knife just before stabbing his first three victims -- one 94 times -- as he embarked on a rampage last year that left six University of California, Santa Barbara, students dead, according to a new police report. 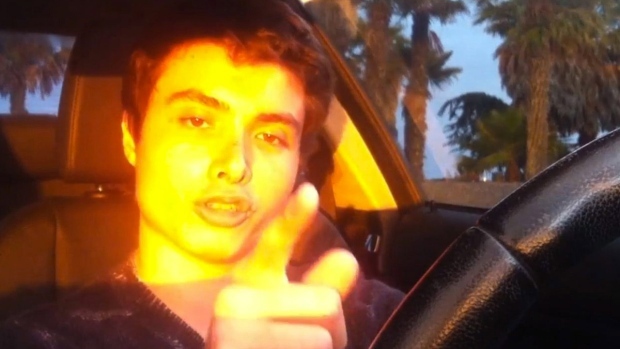 Stab and slash marks on a sheet and several pillows suggest 22-year-old Elliot Rodger rehearsed the killings and then embarked on a rampage through the community of Isla Vista, firing dozens of rounds from a semi-automatic handgun and plowing into pedestrians with his BMW. There were two shootouts with police and 14 people were injured before Rodger took his life with a single gunshot as officers closed in. In a final handwritten journal entry on May 23, the day of the carnage, he wrote: "This is it. In one hour I will have my revenge on this cruel world. I HATE YOU ALLLL! DIE." The screen of his laptop was open to a chilling YouTube video he'd just uploaded, entitled "Day of Retribution." The Santa Barbara County Sheriff's Department report, released Thursday, provided new details on how Rodger, the son of a Hollywood director, killed his two roommates and their friend, gunned down two women outside a sorority and shot a man standing in a deli. Rodger used two long fixed-blade knives, including a nearly 9-inch boar hunting knife, to kill James Hong and Weihan "David" Wang, both 20, in the apartment he shared with them. A friend, George Chen, 19, who showed up later, was stabbed 94 times. Rodger searched online for "quiet silent kill with a knife" before likely ambushing each, police said. Red-tinged walls and blood-soaked paper towels indicated Rodger tried to clean the apartment's hallways and worked to conceal each man's death from the others. The families of Hong, Wang and Chen have criticized the sheriff's office for not telling them how the killings were carried out, and said they are angered by public health and legal systems they said value the rights of the mentally ill like Rodger over those who may become their victims. "It's Chinese New Year today and that is the most important day in the Chinese calendar," attorney Todd Becker said. "All of our clients are of Chinese descent and it's really an inappropriate day for this information to be released." Becker said the families, upon learning of the impending release, had asked sheriff's officials to delay for the holiday. The Sheriff's Department replied in a statement that in deference to the families it sped up the process and finished, dated and issued a press advisory on its report Wednesday evening, before the Chinese New Year began. The report uses video surveillance and witness statements to piece together the 8-minute shooting rampage. Authorities estimate there was a three-hour gap between the killings in the apartment and Rodger's first shots outside a sorority house. Minutes before Rodger left his apartment, authorities said he uploaded the video where he said he'd "take great pleasure in slaughtering all of you" -- especially women who shunned him and left him a virgin. 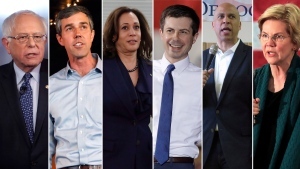 He also emailed his 137-page manifesto titled "My Twisted World" to 34 people, including his parents and medical and mental health providers who had treated him. The manifesto detailed his disappointments with his family and women. After shooting the two women outside the sorority, he got into his black BMW and shot out its window, fatally wounding 20-year-old Christopher Michaels-Martinez in the deli. A woman who was shot and wounded told authorities Rodger rolled down his window and gave a "creepy laugh" before firing at her. After Rodger killed himself police found three semi-automatic handguns and nearly 550 unspent rounds in his car. All were purchased legally. The report said Rodger began purchasing his weapons in December 2012. A librarian told investigators that she helped him look up books on serial killers and mass murder two to three months before the rampage, and Internet search records showed he had a fascination with Adolph Hitler and the Nazis. 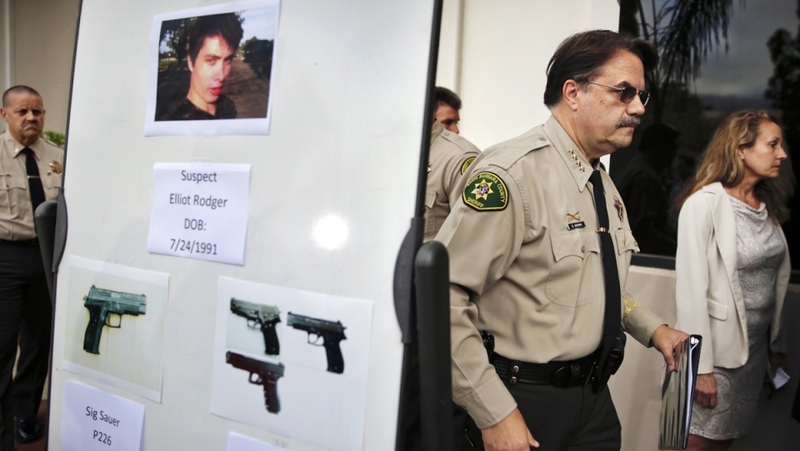 Sheriff Bill Brown said in the report that Rodger "clearly suffered from significant mental illness that ultimately resulted in homicidal and suicidal rage." Brown said he hoped a review of the findings by mental health professionals and FBI behaviour experts will help improve intervention and treatment of such issues. The department has been criticized for not searching Rodger's apartment for weapons during a welfare check by deputies weeks prior to the killings. They went there after Rodger's mother expressed concern about his postings on YouTube. Brown has said officers acted appropriately because, based on their observations, they did not believe Rodger to be a threat to himself or others. Rodger's father, Peter Rodger, said in a statement that he respected how investigators did their jobs and treated his family after the attack. "I sincerely hope that their findings will go a long way toward helping avoid future tragedies," he said. The incident spurred state lawmakers to enact the nation's first law that allows family members to ask a judge to remove firearms from a relative who appears to pose a threat. Lawmakers also bolstered firearm safety and added rules for ammunition sales.